Sizes Choices - 1 oz, 3.4 oz and Pint jars. Scroll down for size choice. 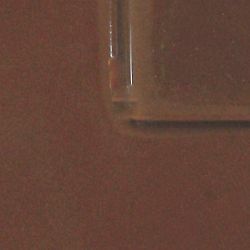 Glossy, opaque, bright warm brown color when applied in the traditional "puddle, push, pull" method. Mix 1:1 with Medium. Color should self-level when applied to surface. Color stays true when capped.